BO&Co Review: The Wrapperoo — Black Owned & Co. Put your hands in the air if you have ruined one, two, or three too many cotton tees during a wash day. My naturalistas know that once you’ve used a cotton t-shirt to dry your hair once, there is no other use for that shirt. On the one hand, your hair thanks you for giving it some love and affection in the drying process. On the other hand, you lament over the shirt you lost on your journey to your ultimate hair goal. BUT! All that ended when I was introduced to the Wrapperoo. I was sent the Wrapperoo to try a few weeks ago and I couldn’t wait till my next wash day came around. This product is a t-shirt hair towel that doubles as a water & heat resistant cape. It gently dries wet hair and keeps you clean & dry from the drips, make-up, sprays, serums, hair color and mess of our hair & beauty routines. The website lists 34 ways to use the Wrapperoo and you can view them here. When using the Wrapperoo as a hair towel, I have used it as a drying towel for my clip ins, as an aid when pre-pooing and deep conditioning my hair, and to dry my hair at the end of the hair washing process. I have also used the Wrapperoo as the water & heat resistant cape when styling my hair (generally two-strand twisting my hair) and putting on make-up after I've gotten dressed. Check out my demonstration video below! This product is very absorbent. It holds more water than your ordinary tee and dries MUCH faster too. I have washed and dried my hair in the morning and by the afternoon done the same process with my clip-Ins. Like your usual wash day cotton tee, the material is curly girl friendly helping to remove the excess water without being too harsh on your strands. For pre-poo treatments and deep conditioning, I use the Wrapper in the place of a hooded dryer. As a 4c naturalista, skipping these steps in my wash day routine is not an option. Because I do not have a hooded dryer, I would ordinarily use a towel or shirt to trap my body heat helping the conditioner penetrate the shaft. The downside of wrapping a towel or t-shirt over a shower cap is that it sometimes does not stay in place as you go about your day. The Wrapperoo solves that problem by incorporating a velcro strap at the top of the towel to secure the excess material. I’ve used it on every wash day since receiving this product that I almost forgot that it doubled as a cape. In the instances that I’ve used the cape, it’s saved me time and prevented me from having the anxiety of getting my tops soiled from makeup or setting sprays. Before this product, I would do my make up first, then get dressed. But for clothing that would need to be put on before applying makeup, I’d use a towel. Sometimes a towel was not as effective because makeup and other products could penetrate through to the towel. Once again, the Wrapperoo solves that issue by having a water-resistant material. Although this product is a staple in my wash day routine, I will be making a greater effort to use the cape function more often. With 34 uses from one product, the cost of $24.99 is a steal of a deal. This product is perfect for yourself or as a gift to anyone obsessed with makeup or those who love doing their hair. BOBs... Help Me Help You Help Us! BO&Co. Review: Goodnight Darling Co.
Chief Blogger at Black Owned and Company. 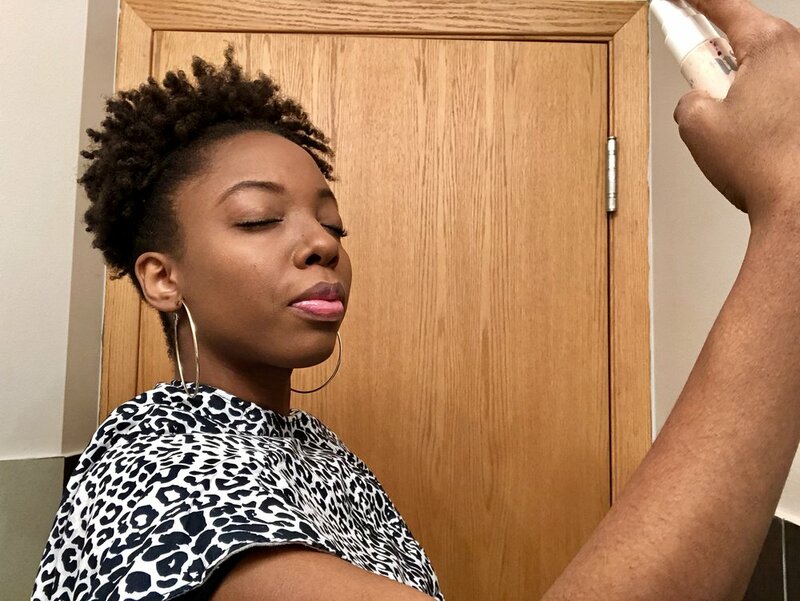 This blog is dedicated to inspiring millennial women to the incorporate products from black and other minority-owned businesses into their daily lives. Get Black-Owned & Co. finds twice a month. Black Owned, Woman OwnedGerena Gregory March 15, 2018 & Co.